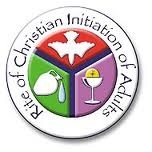 RCIA meets Tuesday in the evening in the Jubilee Room. The RCIA process starts every September. For inquires, please contact the parish office 742-7151. Catholic faith in the sponsorship program? Then RCIA is for you. candidates. A sponsor is a practicing member of the parish. about the faith before receiving these Sacraments.